You’d think Christmas has come early with the line up we’ve managed to put together for next Saturday’s Boiler Shop Steamer. Four of the best party-ready bands in the region will be heading down to the centre of good times to bring an electrifying blend of music to the venue. 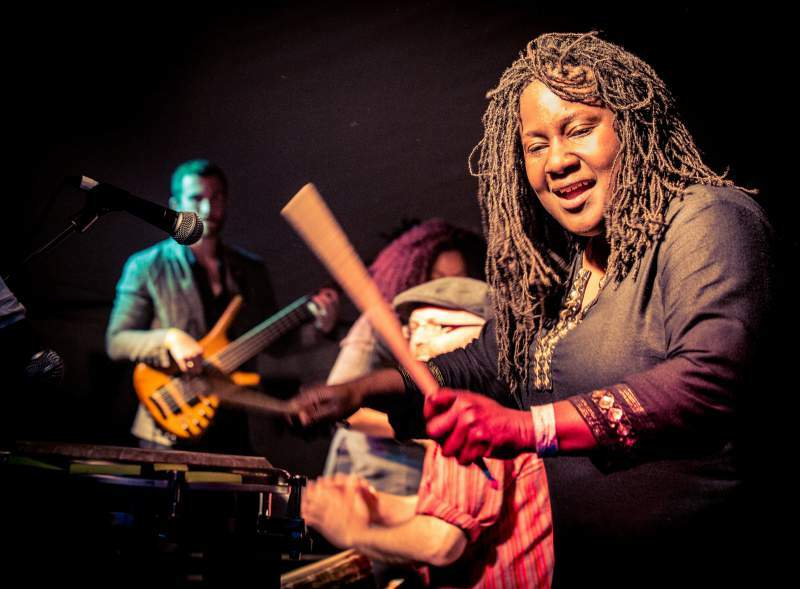 Headlining October’s event are Hannabiell & Midnight Blue, who light up any venue with their combination of African and Latin percussion, jazz, funk and reggae. They’re guaranteed to get you moving after 10pm, if the Baghdaddies haven’t already got you in the mood with their energetic fusion of rhythms and melodies from around the world. All singing, all dancing reggae and ska band Pikey Beatz are on hand to perform some of their party tunes around 5pm while the Northern Monkey Brass Band will be kicking things off with their Geordie take on classic New Orleans funk and soul. If that wasn’t enough already, prepare for the usual mix of DJs playing some classic funk, soul and disco records as well as food from all your favourite street eateries and a bevvy of drinks on offer to suit everyone’s taste and get you in the party spirit. Hannabiell & Midnight Blue, Baghdaddies, Pikey Beatz and Northern Monkey Brass Band play at the Boiler Shop Steamer, Newcastle on Saturday 3rd October.